Hello, I’m wondering if there is a way to ‘select all’ on Affinity Designer IPad. When working with many layers (over 50), is there a way to ‘select all’ or quickly select without having to select individually? I am able to use the move tool to ‘drag select’ over ungrouped layers but if the layers are in groups it only selects the group not the individual layers. Welcome to the Serif Affinity Forums, Malachi. 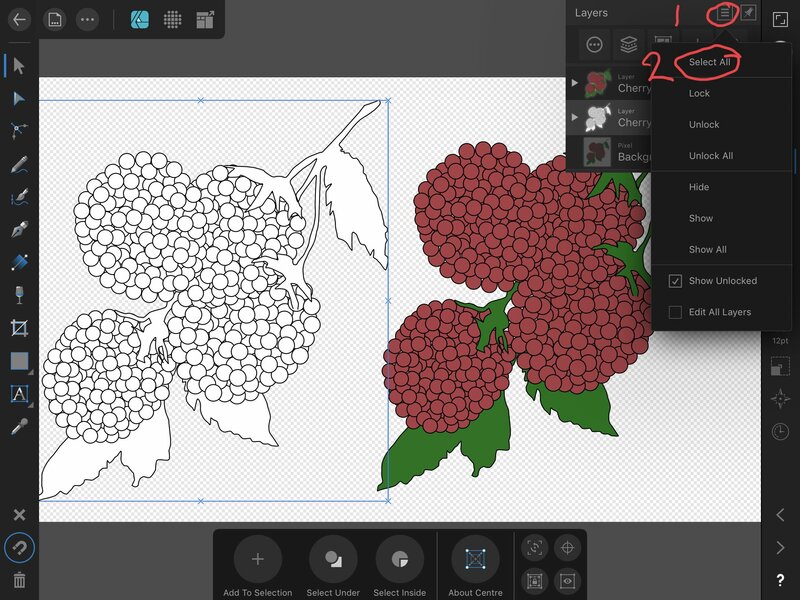 To select a contiguous set of layers in the Layers Studio, one-finger tap the first layer and then two-finger tap the last one. Select All is also available.